by everyday life, thus leaving behind only a prevailing sense of uncertainty. To speak in Heideggerian terms, with technology achieving a monopolistic metaphysical position, ours is a world founded on a sense of astonishment at the lack of a ‘sites’, and this is especially true of people born in the 1980s who now belong to the ‘N-po generation’.▼6 The financial crisis brought about by the bankruptcy of Lehman Brothers a decade ago, bound up with the IMF Crisis that took place a decade before it, coupled with the tructuralization and internalization of a sense of insecurity that emerged from uncertain attitudes towards the ​land (parent’s economic status) where the past is sedimented as well as the future. This prompted the era of the ‘New Normal’.▼7 Low growth, worsening economic inequality, and a dormant economic crisis waiting to happen, as part of everyday life, characterise a way of life that is completely separate from the conditions endured by previous generations, as one is now forced to face questions regarding self-sustainability on a daily basis. instead of criticising the life choices of the ‘80’s architects’, one should instead interpret them as necessary measures and focus on the unique architectural properties integral to them. The ‘80’s architect’ is an architect of the everyday. Warhol could simply enjoy, a rose that is everlasting as one can always create a new one according to one’s whims and discard it whenever one wishes. Also, as the rose is created primarily to satisfy the client, because the ‘80’s architect’ is now a part of the prosumer goods society where the boundary between producer and consumer is blurred, it is also created for the benefit of the architect. The sensitivities and knowledge behind these architects are often native to the masses, and only a small part comes from direct experience. The rose (architecture) of the ‘80’s architect’ is created from the desires of masses (and their endless desire for the new) and flickers away (is consumed) into the masses.The decisive fate that a ‘80’s architect’ is forced to face is the meaning (or lack of meaning) of the everyday. What meaning is there to my architecture of the everyday? As Heraclitus said, the everyday is a paradox. ‘We are excluded from what is most familiar’.▼11 Everyday is convenient and pleasant like a well-worn pair of jeans, but precisely because of that, it makes one lose the ability to question ‘the unnatural and sense of awe that lies right below the surface of everyday life and amplifies our interest towards the world’.▼12 If meaning is ‘a certain method of focusing what one has experienced’,▼12 reflection on what one has experienced must be the foundation for meaning. This is only activated when one’s method of existing in one’s everyday life—one’s way of participating in the daily sphere—is stopped. This does not occur until one encounters a sense of contradiction, unfamiliarity, and disappointment. Until we turn our attention towards the abrupt negative interruptions (such as death, nihilism, meaninglessness) in our everyday lives, then the cause to reflect upon the everyday and the meaning of everyday life does not surface as a concern. to reflect upon the everyday while living in the blur of everydayness by pushing themselves to study. This is because once we become solely concerned with the everyday, it is only a matter of time before we degenerate into a mere architectural businessperson. while simultaneously identifying itself with the masses in order for it to avoid dismissal as a meaningless product. Hence, for the ‘everyday architect’, what is overriding is both its thesis as well as its anti-thesis. They are the material for the excess that is to be produced. As a member of the masses, the ‘80’s architect’ is positioned at a crossroads, between a role that strengthens reality and a role that revolutionises reality. The architectural path that they take splits to create new spaces, as well as everyday spaces via repetition. The possibility of ‘creating everyday life into an artwork’, that Lefebvre dreamt of, is now no longer in the hands of the previous generations but in the hands of these ‘80’s architects’. Lee Jongkeun received his PhD in History, Theory, and Critique from the School of Architecture in Georgia Tech University. 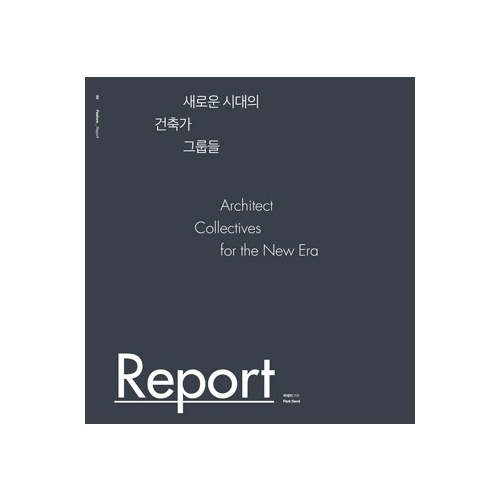 Since 1998, he has been teaching as a professor at Kyonggi University, and is currently oversees and edits the architecture journal Architectural Critics Association. which he founded in 2015. He has published various critical books on architecture including Empty Fullness, Issues, Country without Architecture, and has also written an essay Life Mirror and a novel Trap of Architecture. 1. The early tentative title for the commission from SPACE was ‘The Appearance of Architectural Groups in the 1980s’. spectral analysis on the world GDP dynamics. https://en.wikipedia.org/wiki/Juglar_cycle. 3. Coined by a well-known French sociologist, Pierre Bourdieu, the concept habitus refers to a principle of cultural practice and its reenactment (dispositional system) that is produced according to the conditions that compose a certain type of environment that is essentially persistent but also alterable in face of regulations by living conditions. 4. NAVER dictionary defines generation as ‘a period of about 30 years required for a child to mature and take over the work of his/her parents’. 5. This text is based on my view toward the architect (or architecture) from the perspective of someone who is one generation apart. standard as families lower their debts and businesses decrease their expenditure and investment. As a consequence, the financial market inclines towards saving and sustainable growth over greed and quick growth as their main interest. 8. Despite the lack of data, according to information collected by SPACE the business area explored by the ‘80’s architects’ is not significantly larger than that of the previous generation. 9. According to the insight of Renzo Piano, who claimed that an architect should live to the age of 150 as an architect should be learning until the age of 75, an architect’s career should begin somewhere in their mid 70s. 10. Bread and Roses is both a political slogan and a title of a film and its related poem and song, and it is often linked with the successful strike held by the textile factory workers in Massachusetts, USA in 1912, which was named as the ‘Bread and Roses strike’. 11. Charles Olson, The Special View of History, Oyez, 1970, p. 3. 12. Gareth Matthews, Philosophy and the Young Child, Harvard University Press, 1980, p. 2. 13. Alfred Schutz, The Phenomenology of Social World, translated by G. Walsh and F. Lehnert, Northwestern University Press, 1967, p. 42. 14. Michael Gardiner, Critiques of Everyday Life, Routledge, 2000, p. 71.